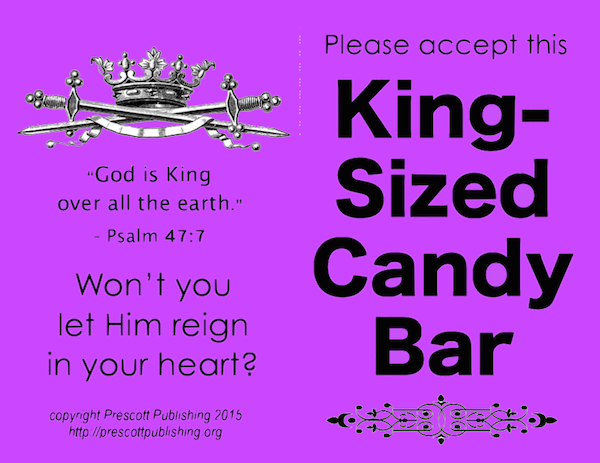 With Halloween just a week away, my trick-or-treat tracts have been receiving a lot of traffic, so I thought today might be a good time to repost them. 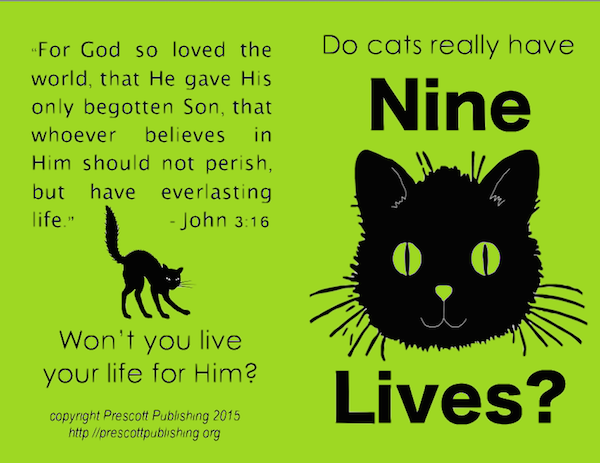 A few of our readers have written to request permission to add contact information to the back of the tracts and use them for outreach events at their church. 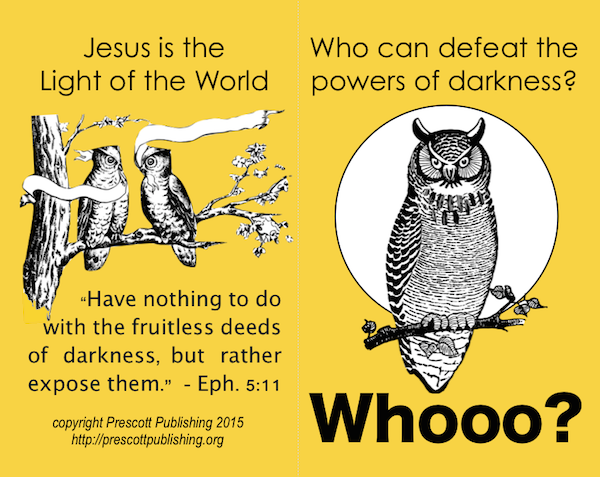 That sounds like a great idea to me, and I’m happy for the tracts to used in this way. That’s why we created them in the first place! 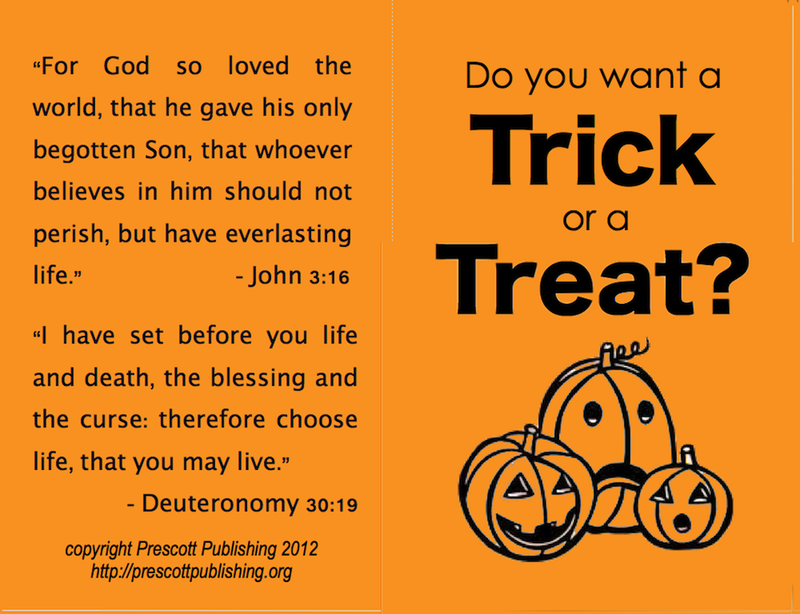 If you’d like to pass out these tracts to trick-or-treaters, too, just click on the image to download the free printable PDF files. 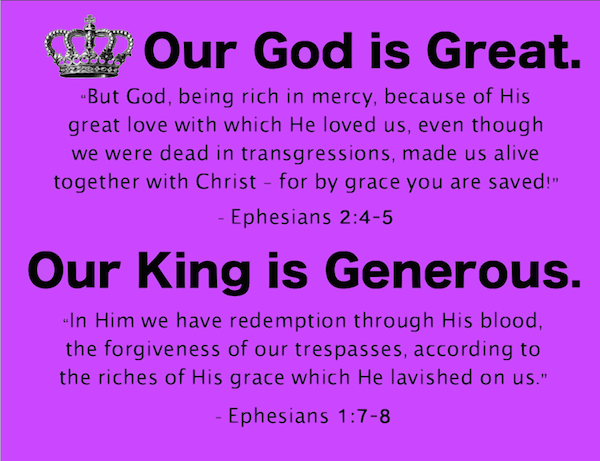 The files are all black & white, so if you want them to look like they do below, print on colored paper. 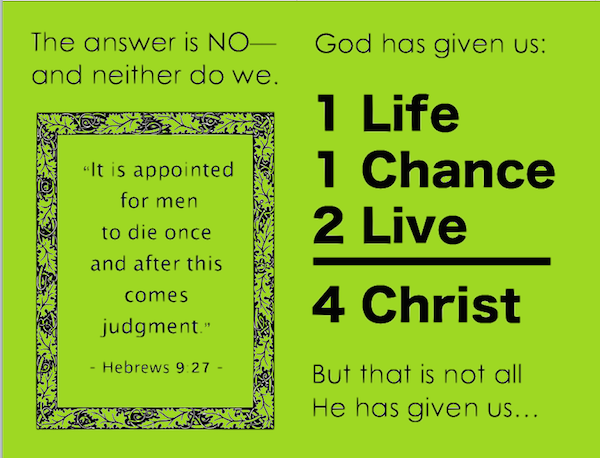 The tracts will print four copies per sheet — you’ll need to cut them apart and fold in the center of each tract. 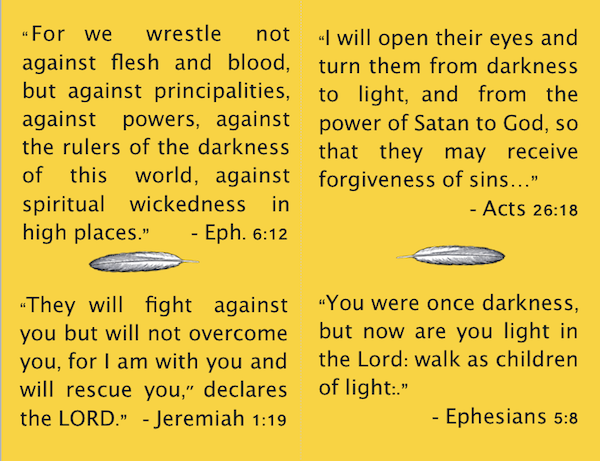 We also offer a few free printable tracts that are not specific to Halloween. 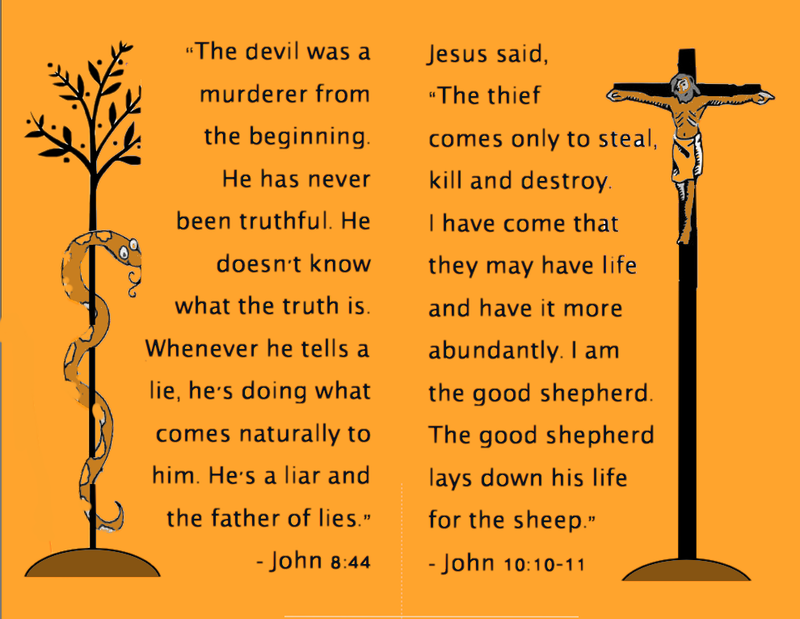 You may browse and download those files by following this link. These are awesome witnessing tools and will be great to use this Halloween. Thank you for making these possible.